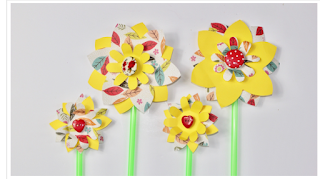 Looking for a simple, spring craft activity for your little one? Check out this lovely idea here at DotComGiftShop. Do check out their amazing gifts available too. We have bought many lovely items to send abroad to penpals as well as unique gifts for all the family. Since 2005 dotcomgiftshop has been putting the magic and excitement back into gifts and homeware. Now trading under the name Rex London, they're delivering delightfully quirky but always stylish presents and home decorations - all at irresistible prices. Original, gorgeous, and perfect for any occasion, their wide range of gifts and home accessories is either exclusively designed or lovingly chosen by their talented in-house design and buying teams.